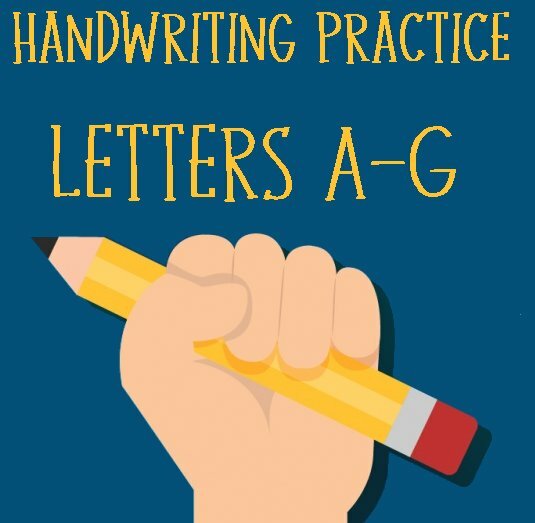 Handwriting practice doesn't have to be dreaded by your homeschooler! Although it can be challenging to make worksheets fun, I've tried to incorporate color and creative activities for more enjoyable interaction with your child. A lot depends on you though. 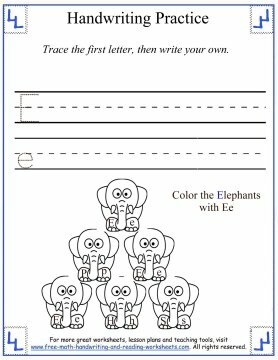 After a child completes a practice worksheet or two, try to incorporate an enjoyable activity that reinforces the letter. One easy way to do this is by breaking out colorful Play-Dough so your child can pat and roll the dough into letter shapes. This gives your child a fun, sensory stimulation task which will reinforce the lesson just learned. 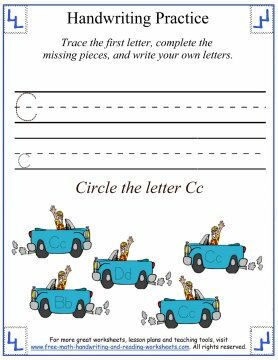 You can also find ideas on how to introduce letters through activities in my units on The Alphabet and Consonant Letters. You can find links to both of these lessons at the bottom of this page. Click on the pictures below to open a printable file in another tab. 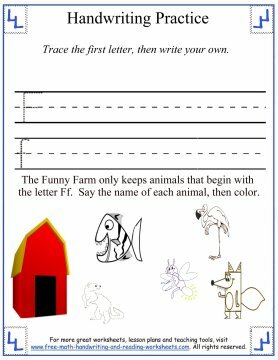 The worksheets below introduce writing the Alphabet to your child. There is one line of Uppercase letters and one line of Lowercase letters for your child to practice. 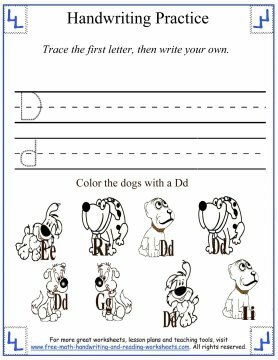 At the bottom, there is a simple activity that incorporates letter identification with colors or matching and other concepts. I'll cover these activities below. Underneath the practice space there is a short activity covering each letter. For the most part, they are pretty self-explanatory, but if you need help, here's a quick overview of each. A--There are six different ants at the bottom. Each one is carrying an egg with a letter on it. 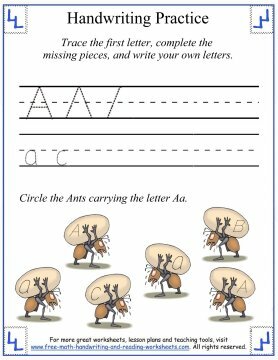 Have your child circle each ant that is carrying the letter A--look for both upper and lowercase versions. B--Pretty much the same as the above task. Each balloon has a letter on it. 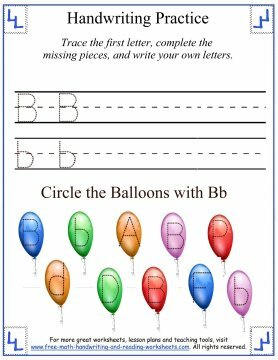 Your child needs to identify and circle all of the balloons with a B or b on it. C--Still circling letters. This time both C and c appear together on the cars. D--Changed it up a bit. Color the dogs that have a Dd near them. E--On each elephant's foot there is a letter. Color in the elephants that have E and e on their feet. F--Name the objects in the picture. If it begins with the letter F, color it in. For more practice with handwriting or to learn more about the alphabet, try the lessons below. The animal flash cards are a fun way to learn about letters, plus creating the flashcards is a great fine-motor activity that you can do with your child.